No matter where you end up in life, you never forget where you came from. Flexible Benefit Service Corporation (Flex) was founded and is headquartered in Illinois. For more than 24 years, Illinois has been the foundation of our success. Now we want to pay it forward by helping other local businesses. Flex is now offering a way for the 136,000+ uninsured small businesses in Illinois to provide health benefits to employees. We call it the InsureXSolutions™ private health insurance exchange. You are a business owner, human resource or benefits professional, or even an insurance broker. You are trying to help run a business or assist another businesses needs. You do not have time to learn all the ins-and-outs of every employee benefits offering or business process that comes across your desk. You do, however, want to make available an employee benefits package that engages and retains employees, while promoting wellness. And, you keep reading in the news about account-based health plans, namely flexible spending accounts (FSAs), becoming a staple in offerings across the nation – and rightfully so. What’s So Special About This Private Insurance Exchange? InsureXSolutions is a game-changer for some employers! The much anticipated private health insurance exchange from Flexible Benefit Service Corporation (Flex) has recently launched and it’s creating lots of excitement because of its unique features. How is InsureXSolutions® unlike other private insurance exchanges? It promotes a defined contribution funding model for employers to truly manage and cap their costs. This is critically important for employers not currently offering group health insurance. They can now establish a fixed dollar amount for employees without having to worry about participation requirements or other unknown costs. Marketplace recognition increases and enrollment grows - and it's about time! We continue to see an increase in news, surveys and reports that consumer driven health plans (CDHPs) and tax-advantaged programs are growing in popularity and enabling more Americans to make better health care decisions. 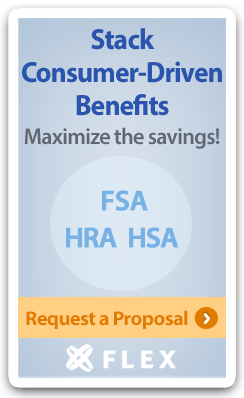 We strongly agree, but this is not new to us at Flexible Benefit Service Corporation (Flex). What’s the buzz on benefits? The Benefits Buzz Blog was created with the simple idea of getting relevant information to you - when you want it. From updates on health care reform, the employee benefits industry, compliance, continuing education and more – we invite you to read and walk away with some value adds to help you get through the day smarter.